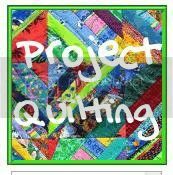 Kitty Cat Quilter: Project Quilting! 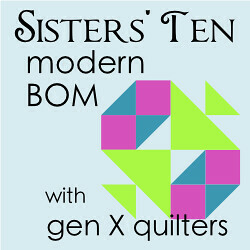 This is season 3 of Project Quilting (think Project Runway, but for the blog world, minus Tim and Heidi). I first heard about it a few months ago, after season 2 had finished, and have eagerly been waiting for the next one to begin. And it did, on 8 January. Thank you, Kim, for organising it all. The first challenge was to use Architecture as the inspiration. In the rules it said to think outside the square and to do something nobody else would think of doing. So I chose to interpret this challenge on a literal level. No, I didn't build a wooden quilt. What I did was arrange the letters in the word ARCHITECTURE into... an A-frame house. I doodled, playing with the letters in the word, in an attempt to make architectural elements from each one. Next I made a paper pattern, cut out each background piece in a light neutral, sewed them into rows, then into an equilateral triangle. I cut out shapes, in realistic colours, and stuck them down with a glue stick. Then I sandwiched some stiff batting and backing fabric with my A-frame on top. Note: Quilt Basting Spray is WONDERFUL! I wasn't sure if any of this would even work, but I was determined to learn something new and have fun doing it. Therefore, instead of using my "good" thread, I grabbed an old reel that I just couldn't throw away. Note: If your sewing teacher ever tells you (like mine did, back in the '90s) to never ever use old thread, or worse, cheap thread that is "fluffy", then please heed her advice. So, amongst a fair bit of re-threading due to snapped thread, I free-motion outline quilted/appliqued (both at once - is there a special name for that?) all the shapes. That was the funnest part. And there it is, my equilateral triangle wall hanging that may or may not spell the word architecture. Unfortunately, I ran out of time, and didn't get my entry in to be able to enter the competition. 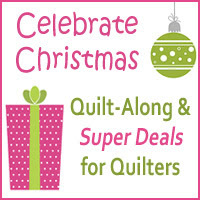 Everyone is given just one week to design and construct their quilt. I had all the ideas stewing away in my head, but typically left it until Sunday to begin implementing them (the deadline is Sunday at noon, but that's CDT, which is thankfully several hours into Monday morning here). By early Sunday evening I realised it just wasn't going to happen in time, so I stopped stressing about the deadline, but chose to carry on anyway. Counting my fluffing-around-time, all-up I took two weeks instead of one. But I don't consider that strictly cheating as it wasn't entered into the prize-drawing. And there are some pretty cool prizes, so go check it out! Looking back, I've noticed the editor in me has, at every stage of the process, been re-reading, double-checking and just plain looking, thinking that I've spelled the word wrong. Even now.